Break-up in love makes us crazy. Life stops at that moment when your love departs you. Its just becomes such that every thing stands still and does not move. You feel that life does not move on and you wish your love to come back and take your life forward. 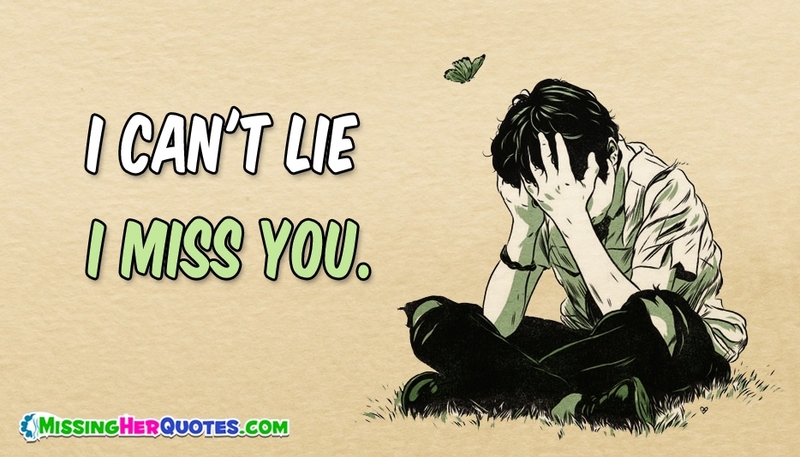 Here is a beautiful missing her quote portraying a guy who is vexed with life and says that "I can't Lie.. I Miss You". Send this card to your love and let her know that you need her back.